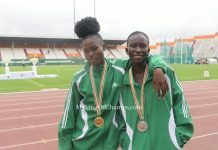 Nigerian sprinting duo of Blessing Okagbare-Ighoteguonor and Tobi Amusan will get the chance to vie for the $50,000 prize money which winners of the Diamond Trophy gets, as both athletes have been listed to run in the finals in Zurich and Brussels respectively. 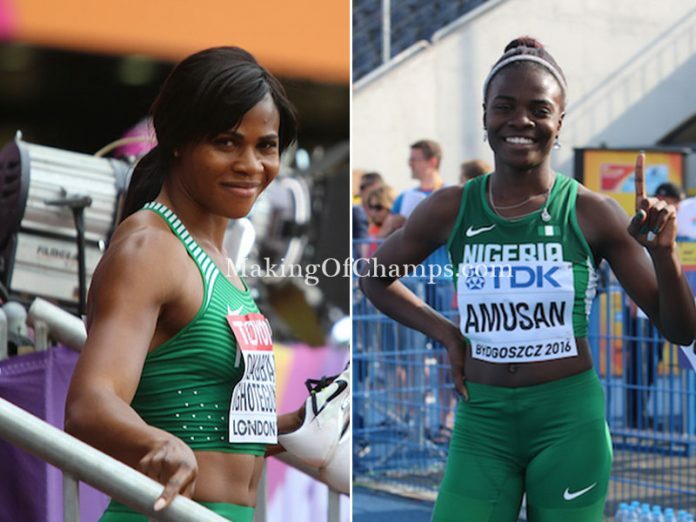 Okagbare-Ighoteguonor will be on the start line for the 100m on Thursday at the Weltklasse in Zurich, while Amusan will be in action the following evening in the 100m hurdles at the AG Memorial Van Damme in Brussels. The African Record (AR) holder in the 200m, qualified for the finals by amassing the fourth-highest points behind Ivorians Murielle Ahouré and Marie-Josée Ta Lou as well as Elaine Thompson from Jamaica. The experienced sprinter’s best result came in the opening meeting of the season, back in May in Doha, where she ran a 10.90 to finish second behind Ta Lou. Okagbare-Ighoteguonor time remains the third-fastest time run this season. However, since that high-flying start to the season, her performances in subsequent meet has nose-dived. 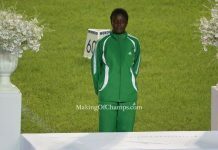 On Amusan’s part, the sprint-hurdler has had a breakthrough season, winning both the Commonwealth and African titles in the 100m Hurdles. 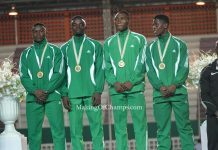 The Nigerian will battle a world class field that will include reigning World Record (WR) holder (12.20 seconds) in the event, Kendra Harrison of the USA who won in London with a new world leading time of 12.36 seconds as well as the woman she dethroned as world leader, another American, Briana McNeal. Also competing in Brussels are Sharika Nelvis (USA), Nadine Visser of the Netherlands, two other Americans, Christina Manning and Dawn Harper-Nelson as well as Jamaica’s Danielle Williams who lost the Commonwealth Game GOLD to the Nigerian in Gold Coast, Australia.